AGUILAR AMPLIFICATION Hay 5 productos. The OBP-1’s boost-only design gives you the tone shaping benefits of active electronics without losing the inherent sound of the instrument. The OBP-1’s discrete, all-FET circuitry features up to 18dB of boost at 40Hz and 4kHz, creating a sonic environment high in dynamic headroom and low in noise. ¡BAJO PEDIDO! ¡CONSULTAR ANTES DE COMPRAR! 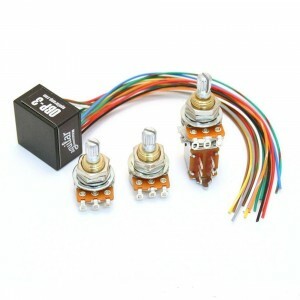 The OBP-2 was designed to give bassists fat tone while being small enough to fit into tight control cavities. 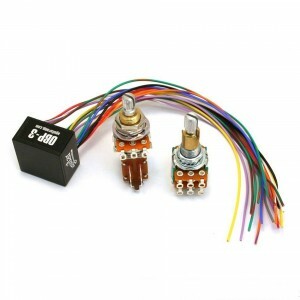 Wire this preamp with one 9 volt battery and it will fit into just about any instrument. ¡BAJO PEDIDO! CONSULTAR ANTES DE COMPRAR! 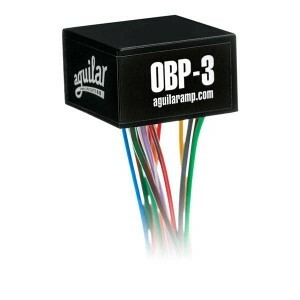 The OBP-3 is Aguilar's most flexible onboard preamp design, providing +/-18dB of cut and boost at 40Hz, +/- 16dB of cut and boost at either 400Hz or 800Hz and +/- 16dB of treble cut and boost at 6.5 kHz. ¡PRODUCTO BAJO PEDIDO! ¡ANTES DE COMPRAR CONSÚLTANOS! 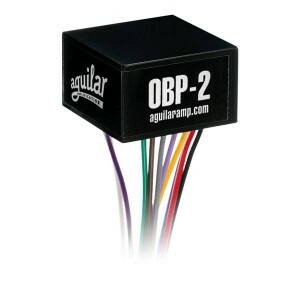 The OBP-3 is Aguilar’s most flexible onboard preamp design, providing +/-18dB of cut and boost at 40Hz, +/- 16dB of cut and boost at either 400Hz or 800Hz and +/- 16dB of treble cut and boost at 6.5 kHz. ¡BAJO PEDIDO! ¡CONSULTAR ANTES DE COMPRAR! 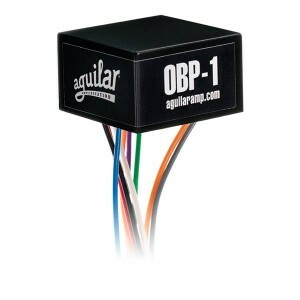 The OBP-3 is Aguilar's most flexible onboard preamp design, providing +/-18dB of cut and boost at 40Hz, +/- 16dB of cut and boost at either 400Hz or 800Hz and +/- 16dB of treble cut and boost at 6.5 kHz. ¡PRODUCTO BAJO PEDIDO! ¡ANTES DE COMPRAR CONSÚLTENOS!